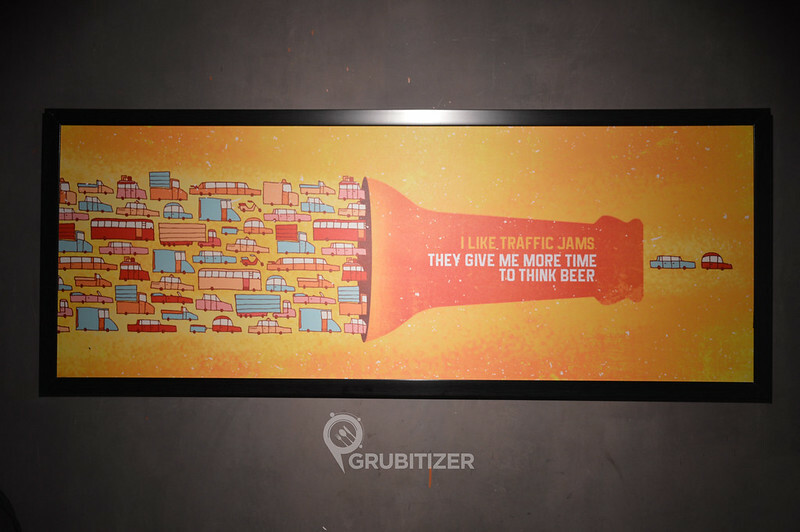 Benjamin Franklin once quoted, “Beer is a proof that God loves us and wants us to be happy”. 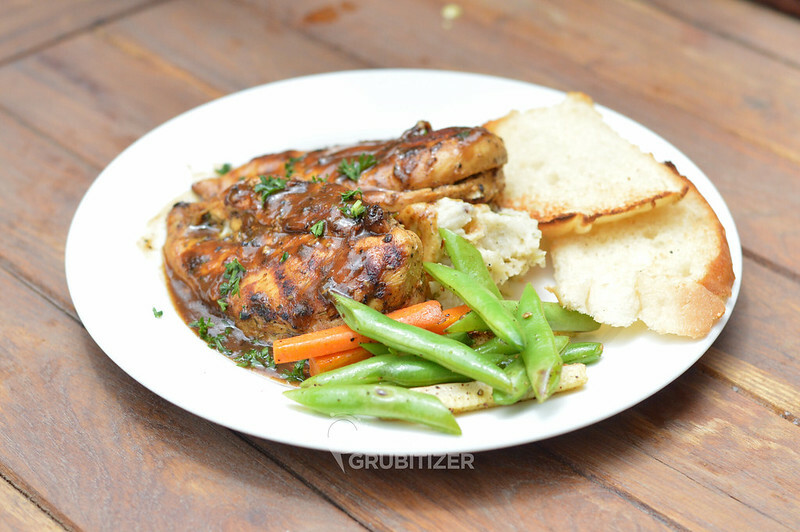 Beer Cafe is one such place which is on a continuous streak to spread happiness and joy which revolves around beer. This brand has launched its third outlet in Bangalore at VR Bengaluru Mall, Whitefield. If you are looking for a one of a kind experience to unwind after a tiring day at work, then Beer Cafe is the place to be. 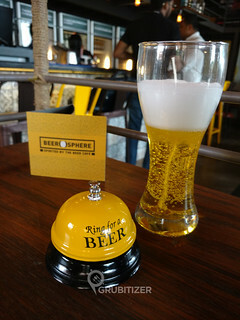 I was here for a bloggers meet to celebrate the International Beer day which also included a preview of Beerosphere, a new line of merchandise comprising over 30 products across various categories. 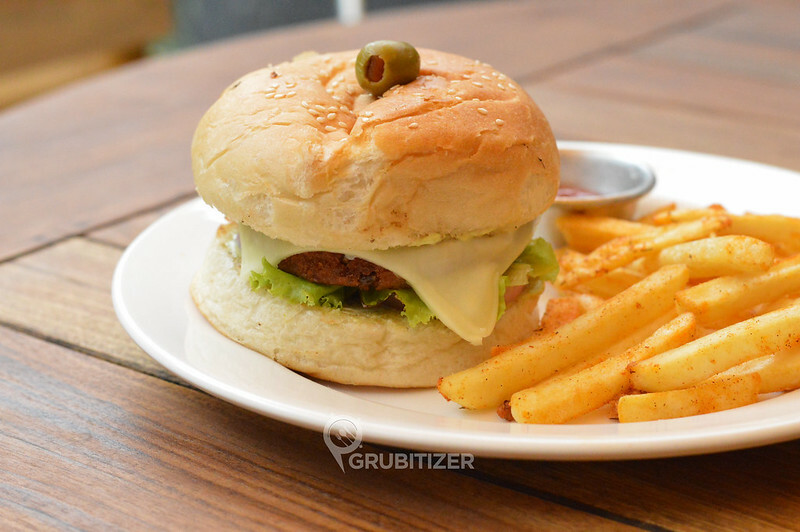 Beer Cafe has a multi cuisine menu which offers classics such as burgers, wraps, salads, pizzas and an array of newly introduced delectable, club this with the widest collection of beers available in Namma Bengaluru and at the end you get one awesome place to be in. The new menu here has something different when compared to other beer pubs – ‘Pairing Suggestions’ to discover the right style of beer that would suit your favorite dishes. 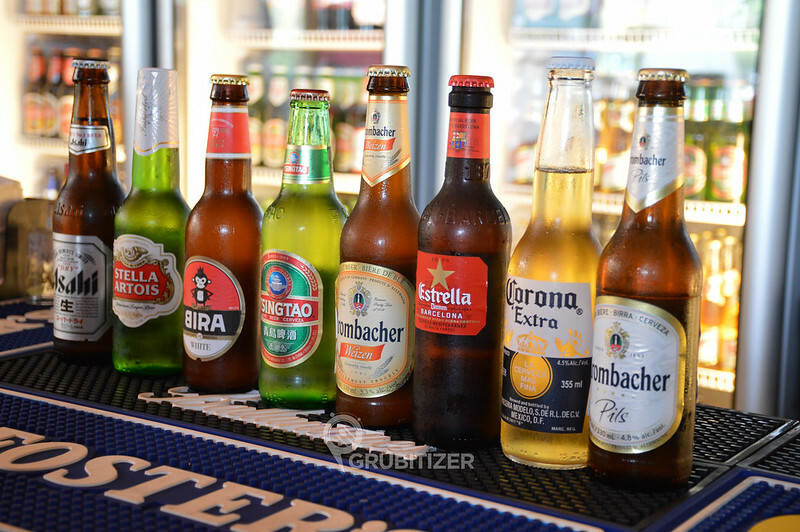 If at all you are not a beer person, you still have got umpteen number of reasons to visit Beer Cafe as you can drown yourself in the wide range of cocktails and premium as well as imported liquor. All of this does not stop at good food and amazing set of brews as The Beer Cafe has a lot more to offer! Beerosphere merchandise can act as a gift or add to your collection of souvenirs. The products offered are spread across categories such as gaming, gadgets, decor, glassware, personal and office products. Some of them quirky and unusual, the others are handy and utilitarian. Spin Chill can chill your beer within a minute by simply adding convention which drastically increases heat transfer between the hot liquid and cold ice. 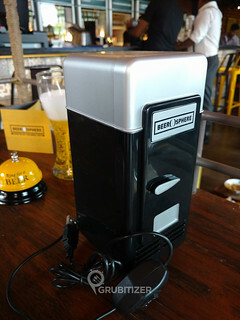 Mini USB Fridge is something which impressed me a lot, it is a tiny fridge like structure that can house one mug of beer. 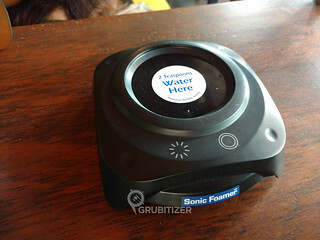 Technology lovers are gonna love Sonic Foamer which uses ultrasonic vibrations to create the perfect head and as a result ensure consistent taste throughout the entire drink and deliver the ultimate aromatic experience. Gifting options include cushion covers, playing cards, candles, laptop sleeves and glassware. 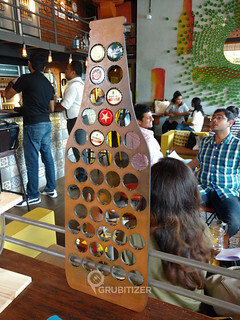 Some of the U.S patented products are exclusively available in India through Beerosphere as the The Beer Cafe has an association with the retailer. We had a set menu for drinks comprising of Indian and imported beers along with some interesting beer cocktails. I do like beer, but only from the perspective of taste 😛 Its easy going nature and relatively good taste (lol) is what attracts me the most. 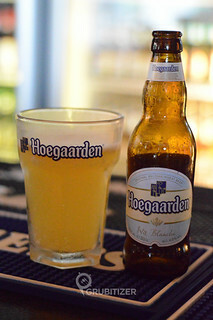 I started with Hoegaarden, a Belgium originated beer which tastes more sweet and sour with least bitterness in it. 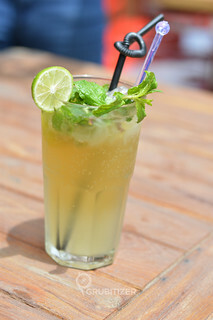 You can feel subtle aromas of coriander and orange which makes this a perfect drink for warm summer days. 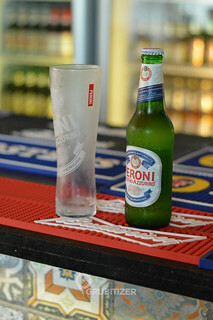 Then I tried Peroni after a lot of consideration as I personally never liked the overall taste of this Italian brew, though it is crispy and clean but the unique taste associated with it did not gel well with me. 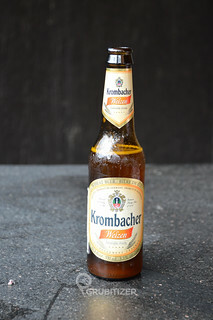 Krombacher Pils was suggested by Abhilash Mithren and I ended up getting one for myself, I liked the smooth and distinctive taste (less bitter) which is associated with an equally pleasing aroma. 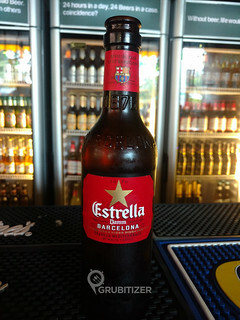 Estrella Damm is a light, smooth and refreshing overall. It is pale gold in color with cereal and hop aromas that complement its fruity flavor, this was my second favorite overall. Budweiser and King Fisher Ultra Max were the other two beers which kept other people in good company. Food here is easily one of the best pub grubs that I have come across. A lot of dishes kept us busy throughout and the next section is gonna talk about them! We started off with vegetarian appetizers like Nachos with Cheesy Dip, Corn Bhel and Mac n Cheese Finger. 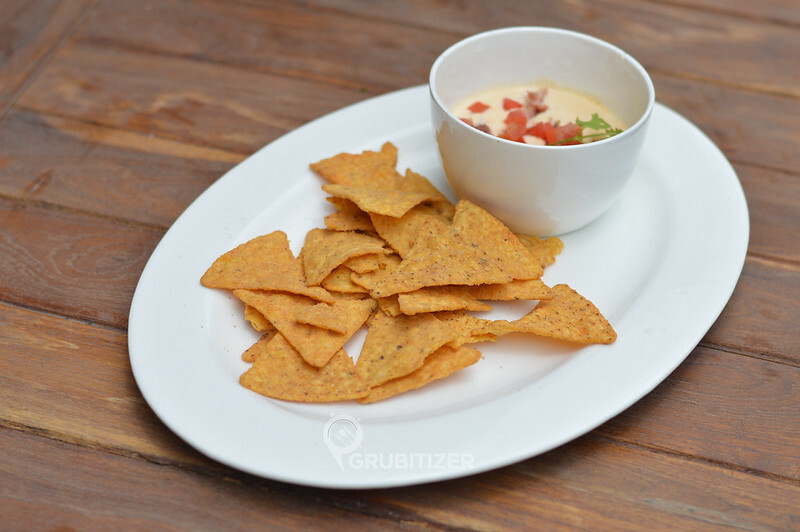 They use in house nachos and the cheesy dip is just drool worthy, this is one combination that can never go wrong with any beer! 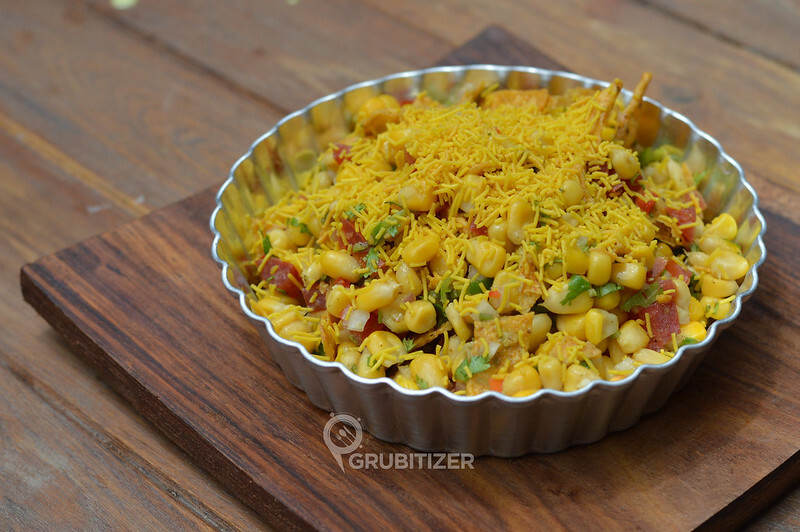 Corn Bhel consists of a mixture of corn kernels, tomato, onion, green chili, coriander, sev and papdi tossed with tangy tamarind and coriander chutney. 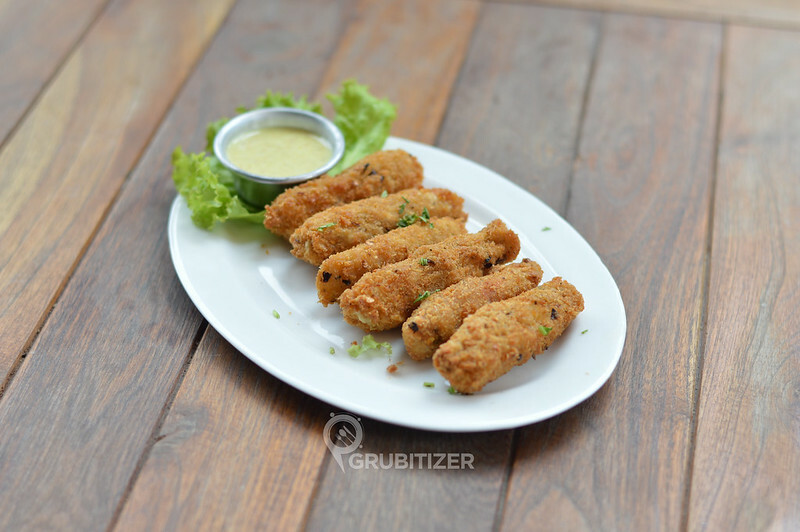 Mac n Cheese finger is crumb fried macaroni fingers served with mustard mayo dip. Next came in the array of non veg appetizers, the section which interests me the most. 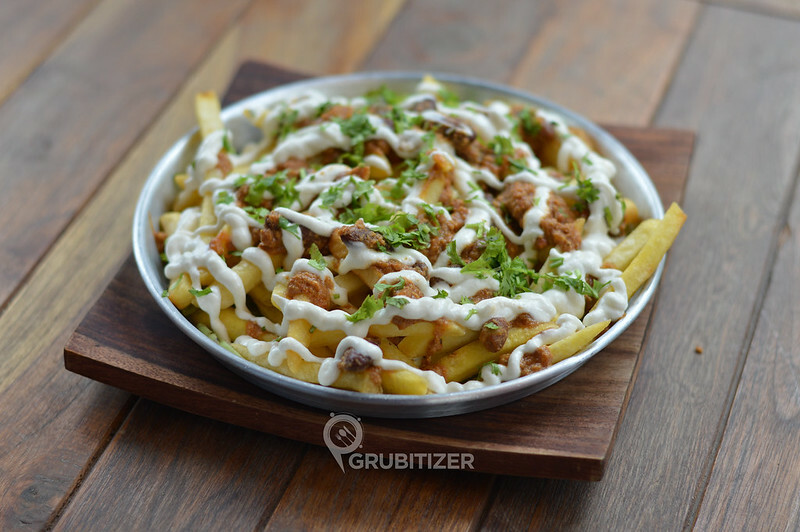 Chicken Poutine, a dish originated from Canada which has golden fried crispy french fries topped with mildly spicy chicken gravy and white cheese sauce, the one served here matched the description. I expected a lil extra amount of chicken gravy in it but this can’t be implemented apparently as it makes the fries soggy. We then had Chicken Kohliwada Chicken, a very known street food found in Mumbai. 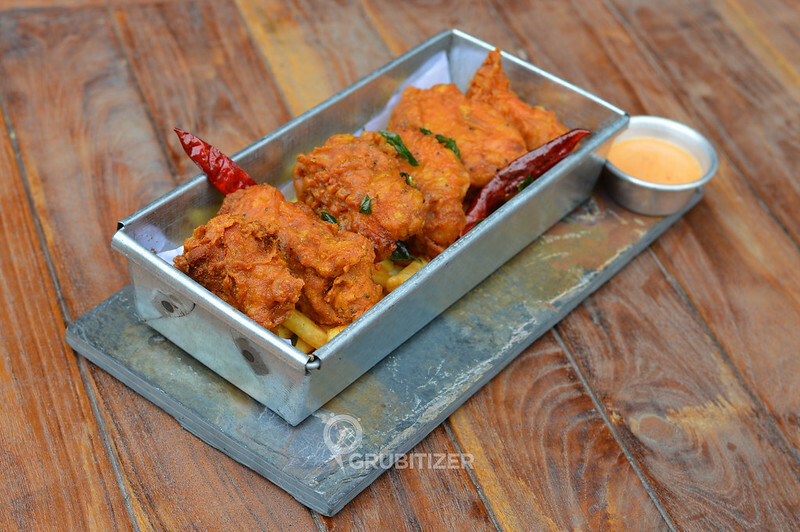 It is marinated chicken which is deep fried and served with curry leaves and french fries, it is served with Chipotle Mayo which complements this dish very well. 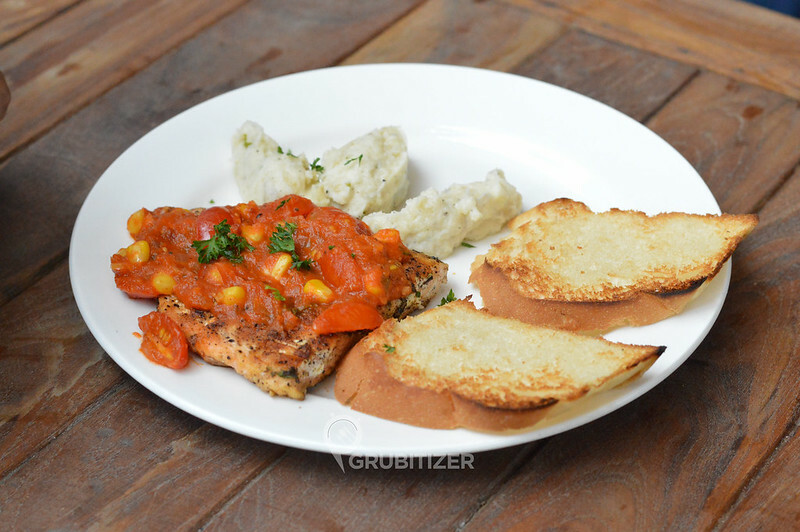 Main course was Grilled Chicken Steak, Grilled Salmon, Crispy Fried Chicken Burger, Veg Burgers and Hotdogs. Burgers and Hotdogs were a usual affair, served with fries and dips. 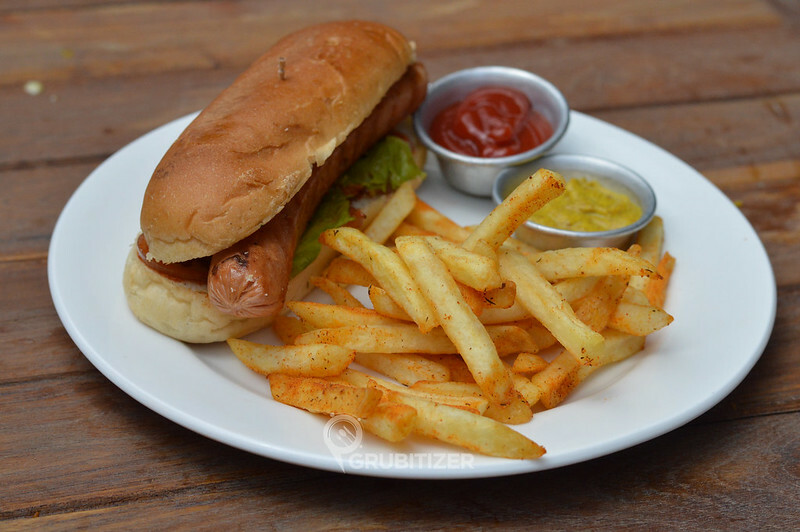 Their menu suggests that the chicken burger is supposed to had with Fullner’s London Pride, an England based Ale beer whereas the Classic hot dog is best enjoyed when pared with Tsingtao, A Chinese Lager that is said to have high malty flavor and well hopped character. 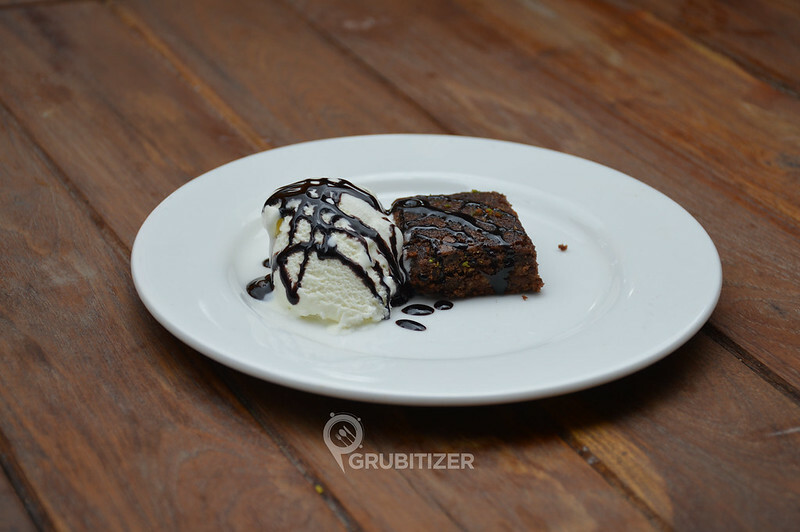 All of this ended with the desserts session where we had Brownie with Vanilla Ice Cream, a sinful combination of warm fudgy chocolate brownie and vanilla ice cream. Whitefield definitely has a reason to cheer because of Beer Cafe launch. 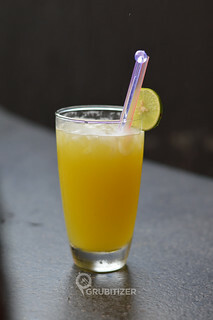 I have observed a gradual surge in the number of pubs which are coming up in this part of Bangalore. But if you want a relaxed place during the day and a happening joint at night to enjoy your favorite beer then this ought to be your go to place. 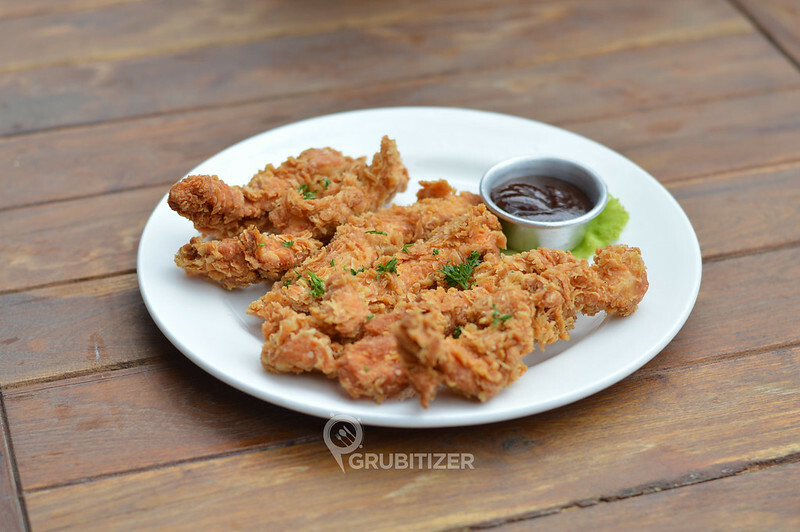 Grubitizer surely recommends Beer Cafe! Click here to get more information about Beerosphere. Click here to visit The Beer Cafe’s official website.